Body surface tissues, such as the oral cavity, contact directly with the external environment and are continuously exposed to microbial insults. Cathelicidins are a family of antimicrobial peptides that are found in mammalian species. Humans and mice have only one cathelicidin. Cathelicidins are expressed in a variety of surface tissues. In addition, they are abundantly expressed in bone and bone marrow. Infectious stimuli upregulate the expression of cathelicidins, which play sentinel roles in allowing the tissues to fight against microbial challenges. Cathelicidins disrupt membranes of microorganisms and kill them. They also neutralize microbe-derived pathogens, such as lipopolysaccharide (LPS) and flagellin. Besides their antimicrobial functions, cathelicidins can also control actions of host cells, such as chemotaxis, proliferation, and cytokine production, through binding to the receptors expressed on them. LPS and flagellin induce osteoclastogenesis and the production of cathelicidins, which can in turn inhibit osteoclastogenesis. Thus, cathelicidins contribute to maintaining microbiota-host homeostasis and promoting repair responses to inflammatory insults. In this review, we describe recent findings on the multiple roles of cathelicidins in host defense. 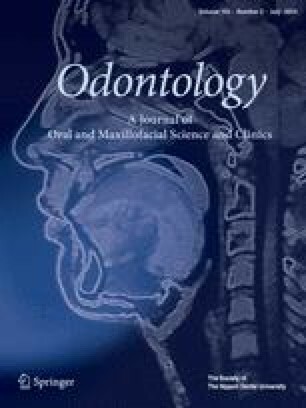 We also discuss the significance of the human cathelicidin, LL-37, as a pharmaceutical target for the treatment of inflammation and bone loss in infectious diseases, such as periodontitis.